A platform where anybody can design t-shirt, hoodies, polo t-shirt online and sell at their desired price without any hassel, risk or upfront cost. 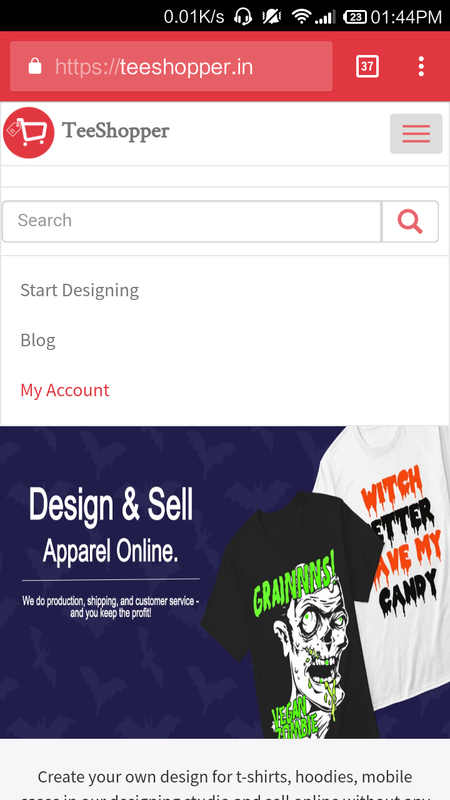 Hi, If you are new to TeeShopper then you must first login and create an awesome design at our designing studio. Click here for a guide to understand what design you should create that your buyers will love it. 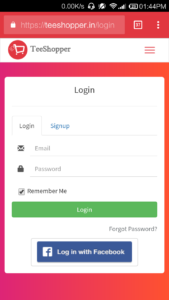 Click on three lines that are on the top right side and click on My Account. 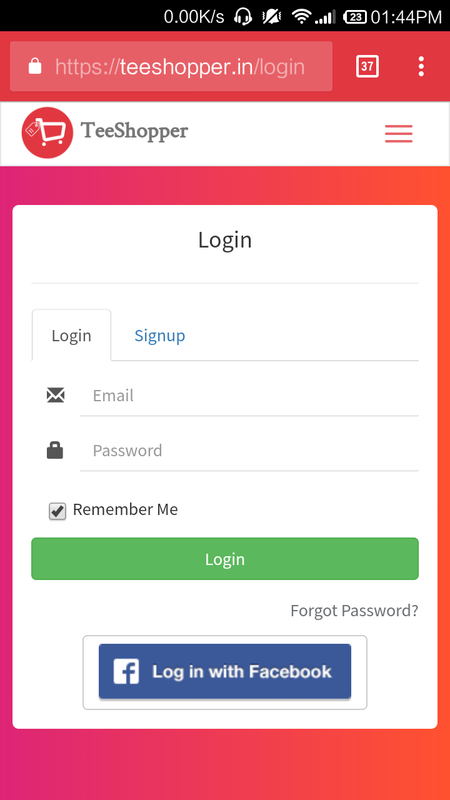 Login Page will appear then tick the “Remember Me” checkbox and log in with your credentials. You will be redirected to your Dashboard. 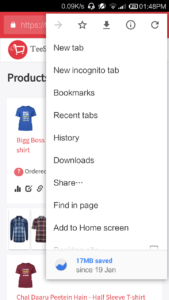 There you have to click on three vertical dots that are on the top right side of Chrome Browser. After that Click on “Add to Home Screen” Option. 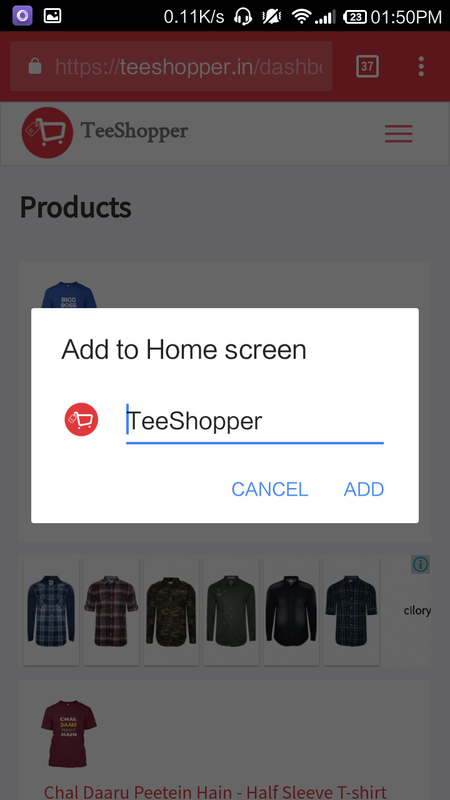 A popup will come for confirmation, click on “ADD” button and it’s done. 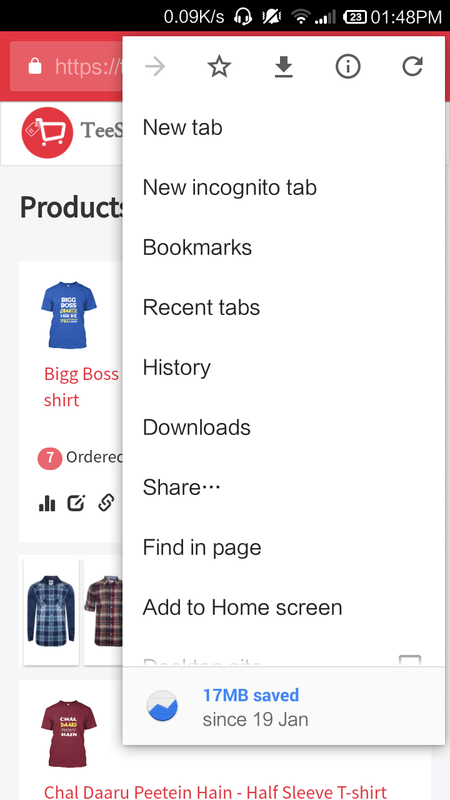 Open your app menu and there you will find TeeShopper App icon. 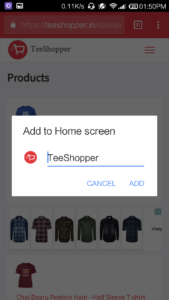 Now, track your sales, stats, orders or create storefront right on your smartphone without logging, browsing, or opening chrome app again.